I grew up loving music from my parents' and grandparents' generations -- Great American Songbook, big band, Broadway, swing. 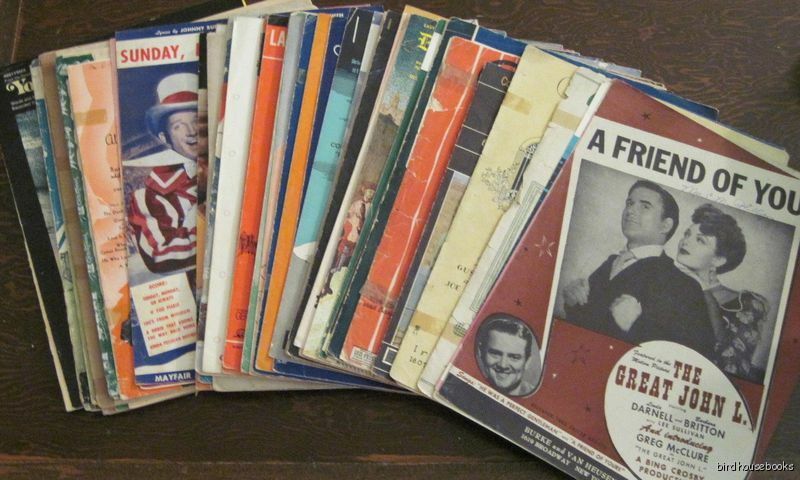 I have always enjoyed vintage sheet music and old fashioned songbooks because they combine these old fashioned songs with great retro cover illustrations. I've sold vintage music for years in my store, but am clearing out this category as I focus more on vintage books and ephemera. 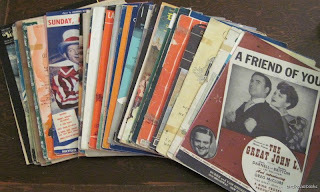 I'm having a HUGE box lot sale that I'd love to share with you -- Vintage Sheet Music Lot HUGE 60+ Pieces 1910s to 1970s and Vintage Song Book Lot 16 Books BIG BAND Broadway POP.